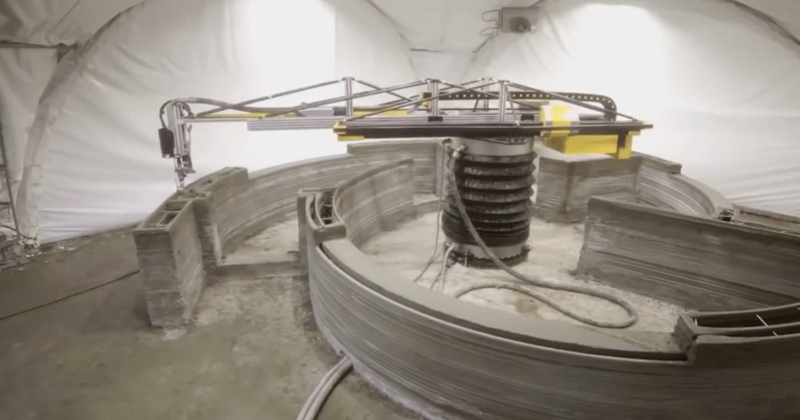 This 3D printer can print an entire house in just one day! Developers think these concrete houses could endure for 175 years. Special thanks to Mashable for this video. 265 Comments on "3D Printed House"
That is so amazing! I want to live in one of those extremely affordable homes! All that would be incredible! And so quick! Aparently they print the house and the designers will go in and place all the flooring down and build the roof. Wow! I wonder how long it would take to print an apartment building. A few days?? this tech is incredible!! I would buy one and make it my own little chill spot. I like everything about the 3d printed house. I would live in a 3D printed home. I’ve saw a thing where a group of warehouses was printed in an absurd amount of time. I’m totally speechless! I can’t wait for more awesome breakthroughs that sciences will lead us too! Yesss!!!! Go science! Go technology!!!! I want to live in a home like that! oh my gosh that is insane!! It does look super small on the outside, doesn’t it? But it’s interior is actually pretty decently sized. This was AMAZING and to think that almost all houses are gonna be built like this in the future i would totally live in that. Wow this is so cool and affordable because all you need is a 3D printer. how would they get that thing out after?? this is so awesome I would love to visit there someday for vacation! THIS IS AMAZING!!!! This is going to help us so much in the future! I’m so excited!! This is so amazing! I never knew this was even possible! I would most definitely live in one of those houses! I want one! This is awesome. We could make potentially make housing affordable for everyone if people don’t get greedy.